Successfully Added Weatherproof GPS Datalogger with LCD Numeric Display to your Shopping Cart. 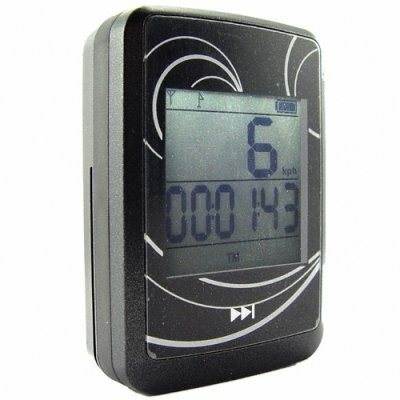 GPS datalogger with LCD display for sportsmen or others interested in mapping where they traveled. This handy little Google Earth compatible Bluetooth GPS Fob is capable of logging GPS data every 2 seconds for up to 90 hours. The weatherproof, robust fob can be used on your person with a neck lanyard (or simply in your pocket) as well as in your sports vehicle. It also has a bright backlight feature so you can keep track of where you are going at night. So where did you go today? Just view the numeric LCD display, or better yet, the information about where you were is easily downloaded via Bluetooth to a Google Earth capable PDA, Mobile or Hand Held Device or by USB to your laptop or desktop PC. In an instant you can view your journey using Google Earths simple interface. A great product for everyone from the outdoor enthusiasts to the company salesman. Buy one for yourself to test, and then start featuring it in your stores or your internet site. As always, blind drop-shipping direct to your customers is available. Revolutionary new rugged GPS data logger with numeric display. Multiple display modes allow you to keep track of everything you are doing while out on your journey.